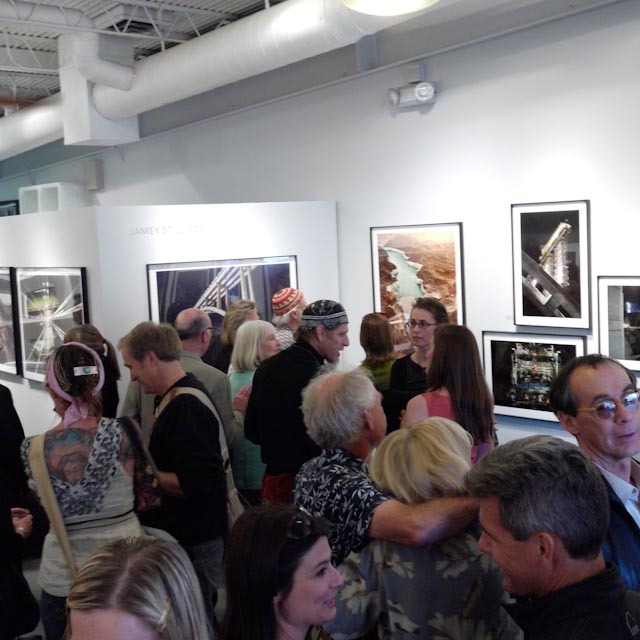 On Friday the 8th photo-eye Gallery celebrated the opening of Jamey Stillings’ show The Bridge At Hoover Dam. It was a wonderful evening, combining great friends and great photographs. Below are a few pictures from the night as well as a few local headlines from the Albuquerque Journal North and Pasatiempo. If you couldn't make it to the opening Stillings' work will be on view at photo-eye Gallery through May 20th -- or you can view his work at photo-eye online here.